Using the word “solution” when we talk about aging may seem like a ridiculous contradiction. After all, getting older is an inevitable part of life. But what if it was possible — by investing in the right places and the right research — to not only alleviate symptoms of aging diseases, but also reverse and even eliminate them? This has become a hot topic in recent years as the aging population continues to grow at an astonishing rate. 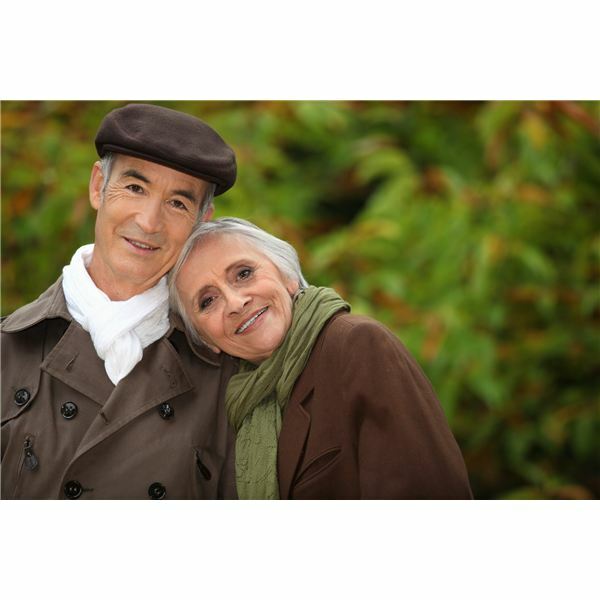 According to the U.S. Census Bureau, the number of people over the age of 65 is expected to nearly double by 2050. And the number of people living into their 90s will quadruple. As a result, the aging population will impact the government and the economy in a real way. The average cost of Medicare per individual has already risen astronomically in the past five years, and it’s set to soar. Finding a way to reduce this economic burden is crucial. But the answer isn’t investing more money in long-term care or short-term treatment. We need actual solutions — cures to make our older population healthier. 1. Focus on one disease at a time. Researching solutions for some of the aging population’s biggest problems is a vital pursuit for the health of the nation. We need health solutions that understand the basis of aging not only from an individual perspective, but also from the general perspective of aging. It’s important to understand that such circumstances must be considered from a holistic point of view. Take dementia, for example. It costs the U.S. upwards of $159 billion every year to care for dementia patients. Most of this cost comes from the long-term care needed for each patient’s chronic needs rather than emergency or one-off treatment. If the health of dementia patients could be better controlled from diagnosis, we could eliminate the need for complex long-term care. And if eliminating one age-related condition could boost the economy, just imagine if we managed to do the same with a whole host of diseases. 2. Reverse the malnutrition cycle. It’s thought that as we age, we inevitably become less and less able to absorb the nutrients we need. Even if we eat healthy when we’re older, we can still expect a certain level of malnutrition. But there are ways to improve our gastrointestinal health early so our digestive systems stay healthier longer. In fact, the gastrointestinal tract is designed for self-regeneration, and this innate ability can be encouraged if we maintain the right internal conditions. Eating a fibrous diet early on in life can allow us to avoid the malnutrition that’s assumed to be an inevitable part of the aging process. 3. Build knowledge and confidence. We also need to invest in education. Conditions that have come to define our older generations aren’t as unavoidable as people have come to believe. Malnutrition is just one of them. Spreading the word about health innovations and making them accessible for older people to understand is a crucial part of the challenge, and education leads to confidence. People looking forward to healthier aging would be less anxious about growing older and would approach their later years with more confidence. 4. Develop easy-to-use platforms, and train the older population. We also need to innovate health solutions that are easy to operate. If our aim is to minimize the cost of long-term care by reversing aging diseases, these solutions must be actionable without the need for long-term live-in nurses. Developing easy-to-use platforms for the new technology as well as teaching the older population how to use them should be a top priority. To invest in the health of the aging population is to invest in the health of us all — not to mention the health of our economy. Increasing our innovative spirit on behalf of the elderly would provoke a positive cycle of healthy thinking and, in turn, drive down costly health problems. This is no magical elixir I’m talking about. It’s the careful investment in bold innovation, using what we already know about the chronic diseases and conditions affecting us as we age.